Happy 24th of December! Or shall I say, Merry Christmas!! Today is not only the 4th Sunday of Advent but it is also Christmas eve. A little sneaky that they land on the same day... but either way it's Christmas! It is now time for the final Healthy Advent Christmas Treat for this year. 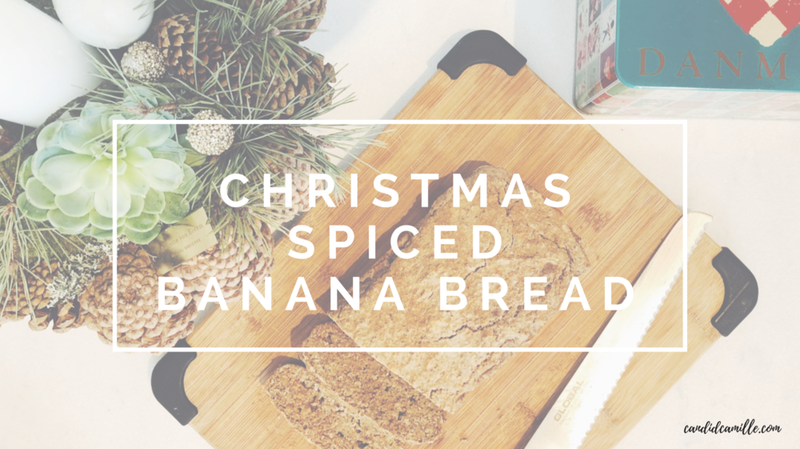 Today's goodie is a spiced banana bread, spiced with inspiration from the holiday season! It's incredibly quick and easy to make and perfect to nibble on during the day or have for Christmas morning. It is made with clean, whole and real foods, ensuring that you are filling and fueling your body with good wholesome foods. This recipe is white flour free, dairy free, paleo, sugar free and simply delicious - of course. You can mix all of the ingredients together into one big bowl, which also minimises your clean up time. Really, during this time of year, who wouldn't want to simplify not just the baking but also the clean up? This recipe is based off of my original Healthier Banana Bread and just tweaked here and there. Give the recipe a try during one of these Christmas days or make some of the other treats like, the Healthy Pebernødder, Ginger Cinnamon Bliss Balls, or the Snowflake Brownie Balls.